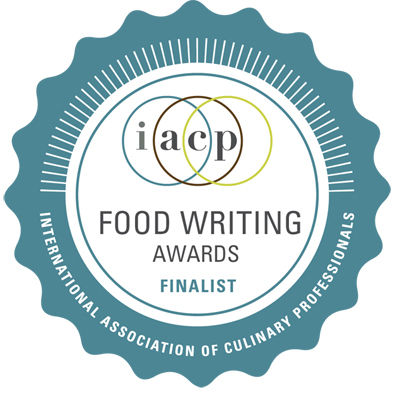 Mmmm… I can almost taste it! As always Carolyn, yum. I have to say I have always had an aversion for Marzipan stemming back to when I was a child and my Italian great grandmother always had those marzipan fruit-shaped candies around. Perhaps I should stop being so closed minded and give it another chance. 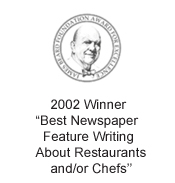 I’m not sure where 2009 has gone… but I do know where I’m going! To Sur La Table to pick up a decadent can of Cocoa Rouge. No doubt it has the power to slow, if not stop time. Wow, that looks almost like fudge with that deep rich chocolate color. It looks so beautiful with the almond flakes. Carolyn, I found some cocktail napkins at Sur La Table that read something like this: Some problems can be resolved with kindness, some even with humor, but some just require cake! awesome looking cake. I will have to try this one day. Thanks for sharing. Uh, Ok. I need to make this tonight. That photograph of rich, burgundy-colored cocoa is like a SIREN SONG calling to me! I long for that cocoa and now, I would swear that in Day 2 of my new nutritition regime, YOU POST THIS CAKE??? ARRGGHHH!!! I can’t stand it! It’s too gorgeous! 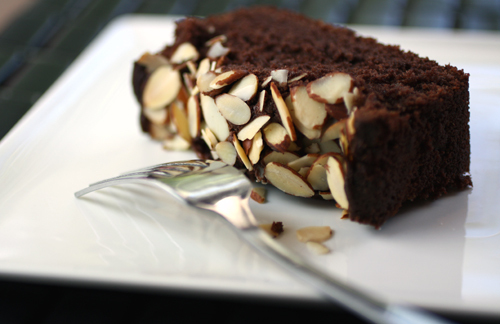 I don’t even like chocolate cake and I want to make this and take a headlong dive into the pan, mouth-first! Gorgeous post, truly! I’ll make it for… Christmas? How did I miss this recipe? I love that book! Thanks for pointing me to it, it looks divine. Oh, yum. 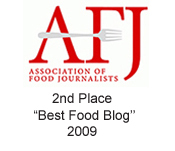 I knew when I saw the title on my RSS feed that I’d be hungry pretty much as soon as I clicked. Haven’t tried that cocoa powder but I will put in a mention of the best cocoa I’ve ever found — Callebaut, the cocoa that won the top ranking in a Cook’s Illustrated’s test. It is hard to find. I bought it by mail from Chocosphere. Ugly website but their service was great. $25 for a 2.2 lb (1 kg) bag. Oh, I so need some chocolate right now. Heck, I’m fighting a cold and just ate three pieces of See’s candies. But one must feed a cold, right? Uh, that is the saying, isn’t it? If not, I could be in trouble…. I think I just have to make this! Even if I have to get my hands on some almond paste! I love the deep dark rich colour! I’m always ready for this type of cake, no matter the time of the year 🙂 Who cares the time with this chocolate sweetness? 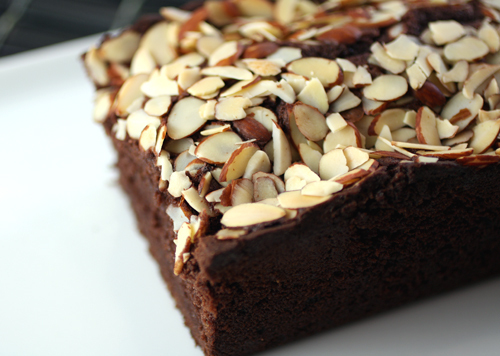 chocolate and almonds on top – I’m sold! Excellent cake! Would you mind telling me how much 3/4 cup of almond paste weigh? Hi Tuty: It is 7 ounces of almond paste. 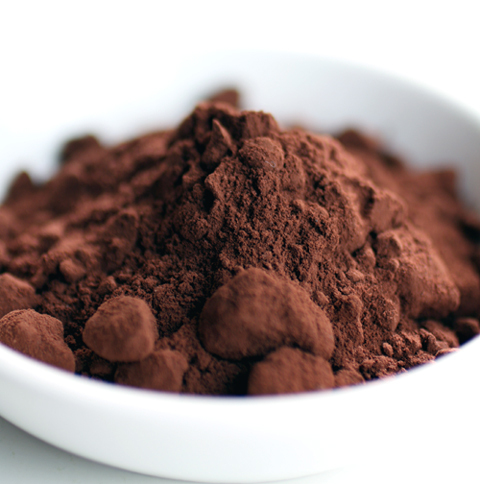 I think a run to Sur La Table for the red cocoa powder is in store! Oh my, that sounds spectacular – I will have to make this as soon as I unpack my kitchen. I’ll really need a slice at that point. Wow, I love marzipan and dark chocolate – this looks really delicious. And yeah, I totally agree with you about time flying. It’s incredible how quickly it flies the older we get! your cake looks lovely. the cocoa looks divine! would love to try it. omigod. i want it now! Thank you for sharing this recipe. 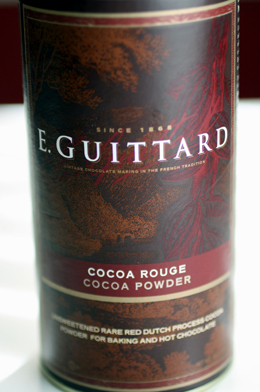 I too love the Guittard Cocoa Rouge, and I will definitely be using it in this cake! Have you ever tried baking it in a pound cake mold? I’d like to try the recipe in my new mold, and could eye-ball it with cook time I suppose, but would appreciate any direction you can offer. Hungry Hippo: I have not baked it in that type of mold. But you could try it, and check it maybe at 35-40 minutes to see if it’s baked through yet. 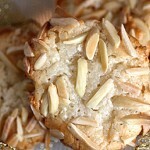 Looks divine, at what point do you sprinkle the sliced almonds on top? Artemis: The almonds are sprinkled on top just before you put the cake in the oven.